Have the dates for this years dubrun been confirmed yet? Dietermk4 wrote: Have the dates for this years dubrun been confirmed yet? Damn this looks exciting, just a pity one cant privately participate with your own vehicle, would have been perfect. Maybe the VW Club can arrange a rally where people can participate with their own cars in their private capacity and not only as someone nominated by a team to represent the team. 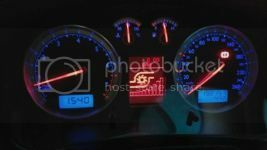 Once had my own rally with my Golf 4 from Benoni along Koolsberg, Knysna, PE, Transkei, EL, Margate, Dbn and back - was EPIC!!! East Rand Motor Show 01 Aug 2015 in Benoni (East Rand) aparently at 49 Aerodrome Drive, Northmead from 09:00 - 17:00. 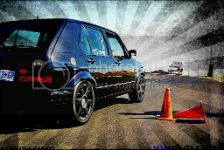 Represent VW Club SA -> Parkoff and Socialize inside the show? Jennifer_a wrote: East Rand Motor Show 01 Aug 2015 in Benoni (East Rand) aparently at 49 Aerodrome Drive, Northmead from 09:00 - 17:00. 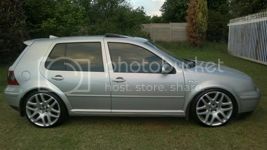 Represent VW Club SA -> Parkoff and Socialize inside the show? What do you want to see on the calendar for next year? With venues been taken up earlier than ever, we need to have an idea of what the club wants to do? Any news as yet on the venue ? How about a VWCSA camp out? Unofficial event maybe? Get some chalets etc. have a lekker time with everyone? Maybe sometime soon before winter ? Irfaan wrote: How about a VWCSA camp out? Unofficial event maybe? Get some chalets etc. have a lekker time with everyone? Maybe sometime soon before winter ? Vwcsa should hold more performance events and more of the club going people should start participating . If the numbers aren't sufficient then officially join Michelin cup. Get a point system going against like in the old days. Suggestions will definitely be discussed during our COMM meeting tomorrow. Is it possible to participate in an open trackday instead of hosting one? Some tracks have an open trackday every day unless there is an event booked.